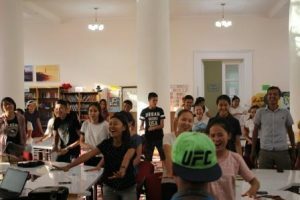 Starting on September 5, FLEX alumni launched the weekly Talking Club in partnership with the American Corner in Bishkek, Kyrgyzstan. Talking Club is a place where community members can improve their speaking and leadership skills and shape their perspectives on certain topics through meaningful conversations. 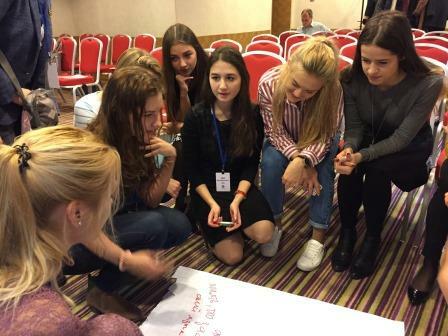 Additionally, Talking Club allows students to work in groups, providing an opportunity to see a topic from a different perspective while openly expressing themselves and their points of view about the topic in English! Talking to different people provides the participants with an opportunity to look at a topic in a more creative way; and discussing sensitive topics helps participants to become more empathic. Through the club, participants have also become friends, making the space a networking event for people from many different walks of life. 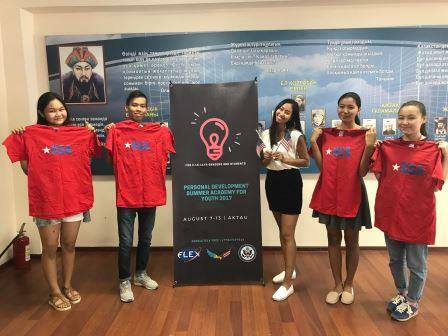 For example, attendees include active citizens, graduates of the university, and students looking for some new opportunities. 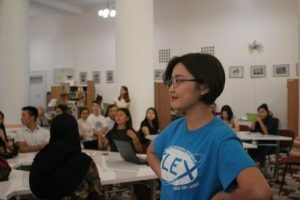 Through this project, alumni and participants of Talking Club have debated important topics such as school uniforms, bride kidnapping, the structure of educational systems in Kyrgyzstan, stereotypes about the U.S., and the importance of volunteering. During these lessons, students have showed great interest in the topics and problems of civic importance. 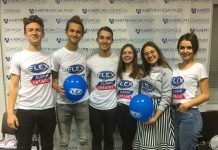 Thank you to the following alumni who make this project happen: Akmaral Akimbaeva ’17, Aikumush Akylbekova ’17, Eldos Atalov ’17, Cholpon Bolotova ’17, Meerim Imarbekova ’17, Meerim Kubatova ’17, Begimay Kudayberdieva ’17, Akbermet Ulanbek kyzy ’17, and Omurbek Zukhrap uulu ’17. 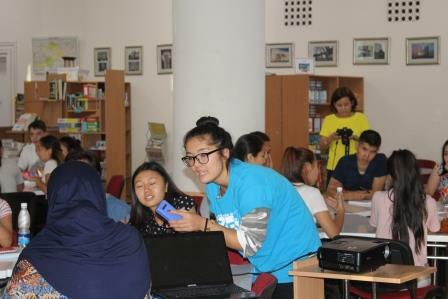 Written by FLEX Alumni Coordinator in Kyrgyzstan Malike Alenova ’15.